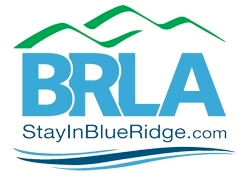 Rolling mountain views, minutes from downtown from the quaint shops and dining of Historic Downtown Blue Ridge, or a lazy day on the pristine waters of Lake Blue Ridge, Dancing Bears is the ideal cabin for vacationers who crave the true North Georgia Mountain experience! Three comfortable levels, bathed in natural light and full of mountain charm, Dancing Bears has plenty of space to give groups of all sizes room to relax. The traditional open concept cabin floorplan on the main level offers guests staying in the loft’s master suite a bird’s eye view of the kitchen and great room, as well as a private balcony to enjoy the long range mountain view. A second master suite on the main level accesses the cabin’s covered porch and screened outdoor dining area. The terrace level den is a cozy place to cuddle up for a movie night, or play a quick game of foose ball. The steamy hot tub is easily accessible from the terrace level den, and the third master suite is just steps away. 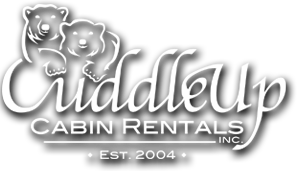 With its convenient Blue Ridge location, it is hard to beat the charm and appeal of Dancing Bears cabin!